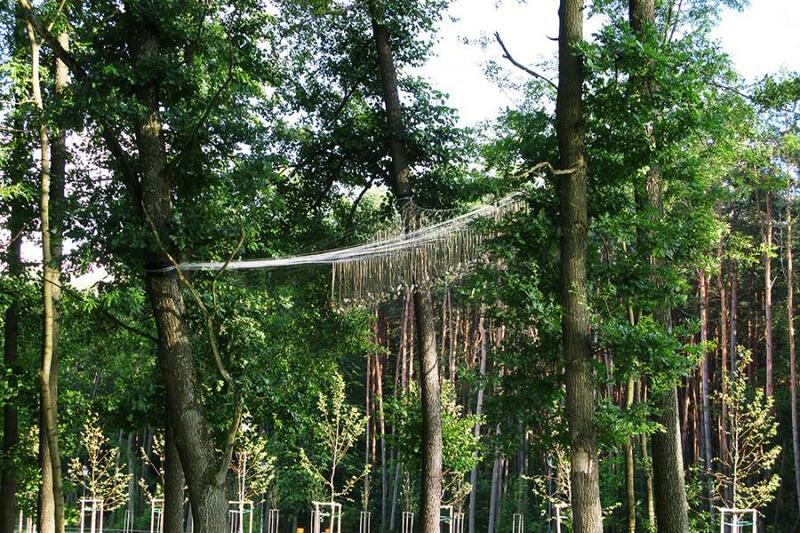 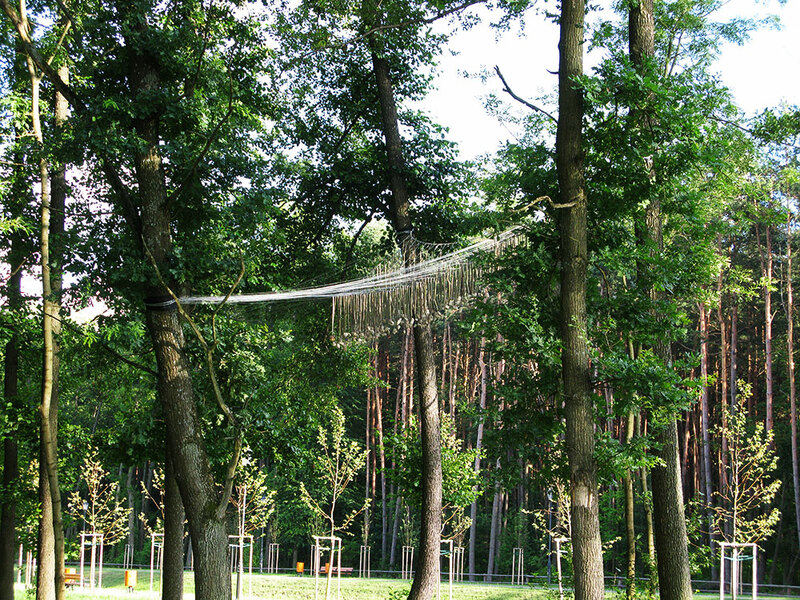 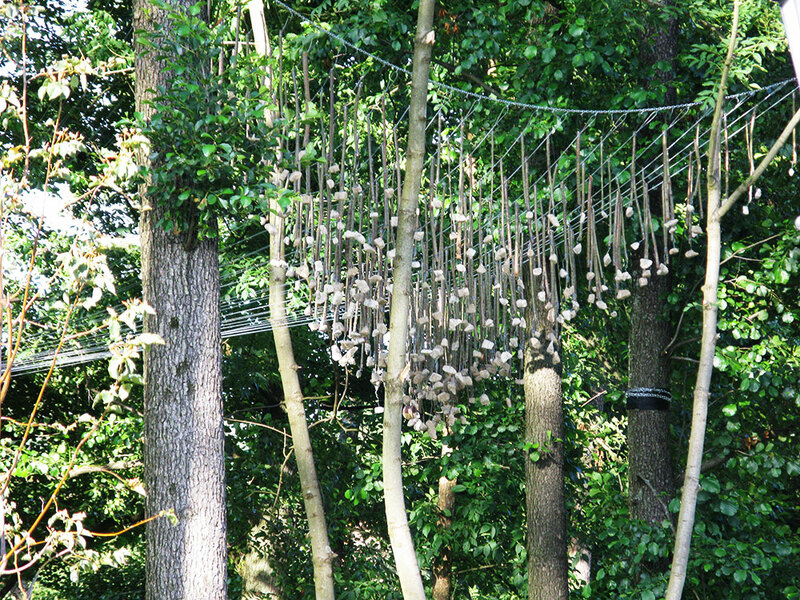 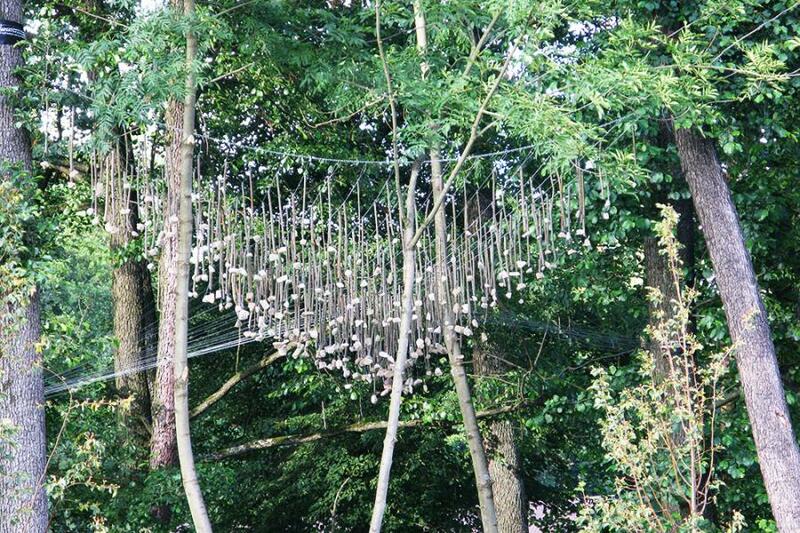 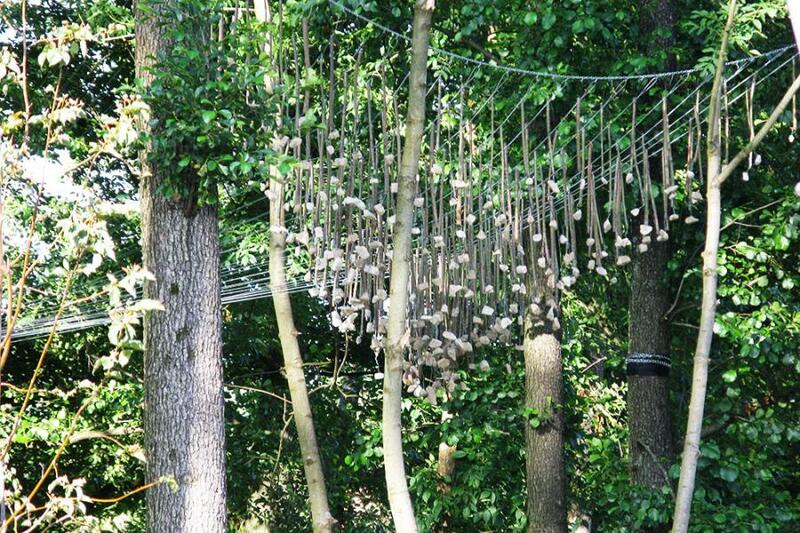 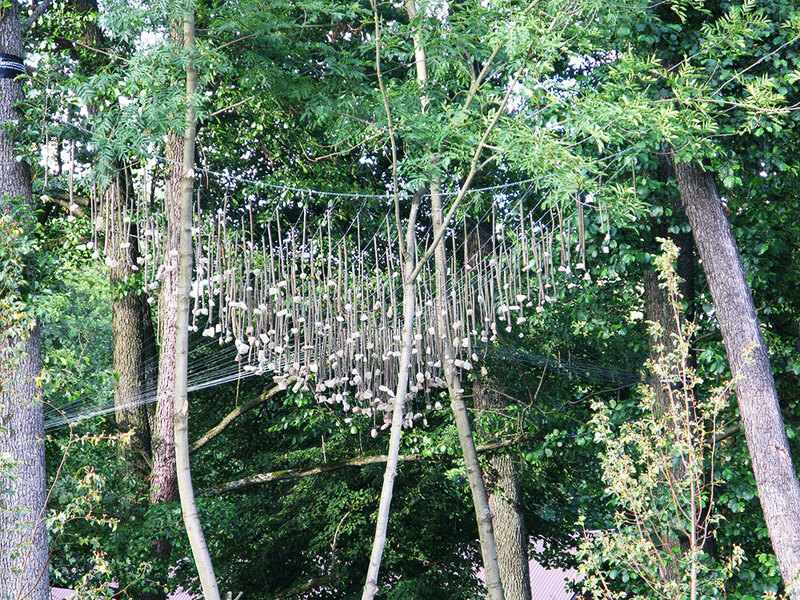 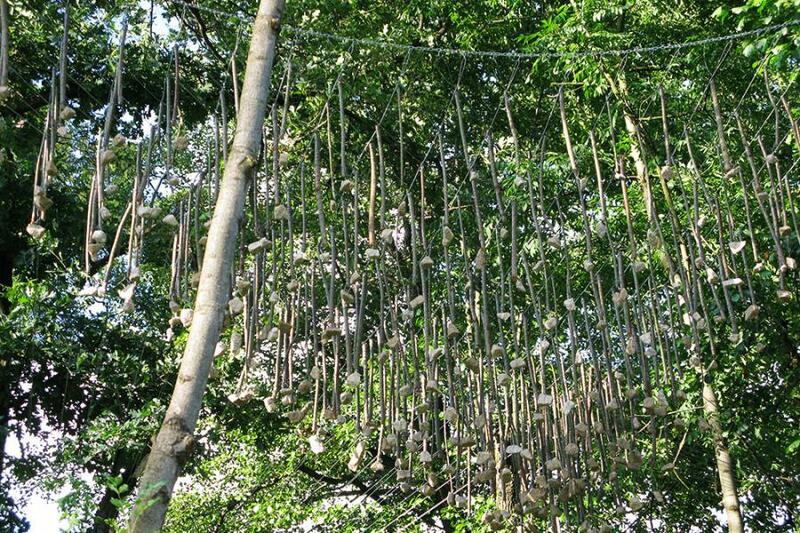 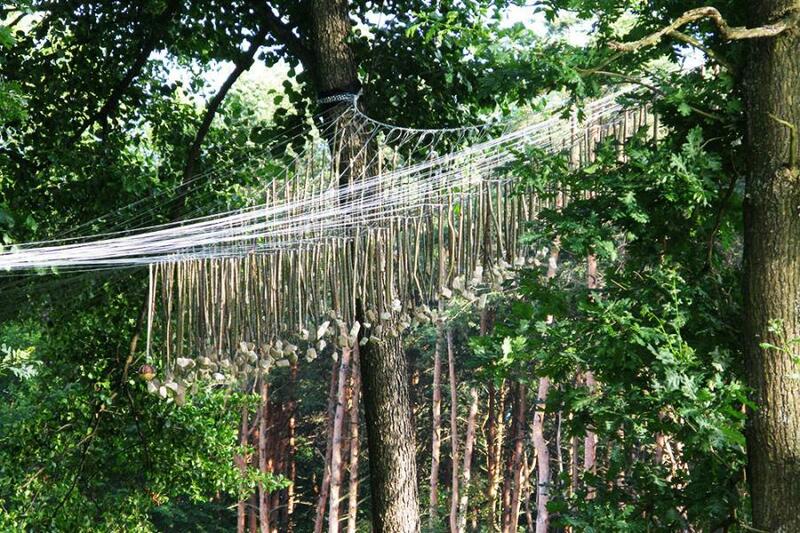 The steel cable weave hung in the trees of a community in Poland. 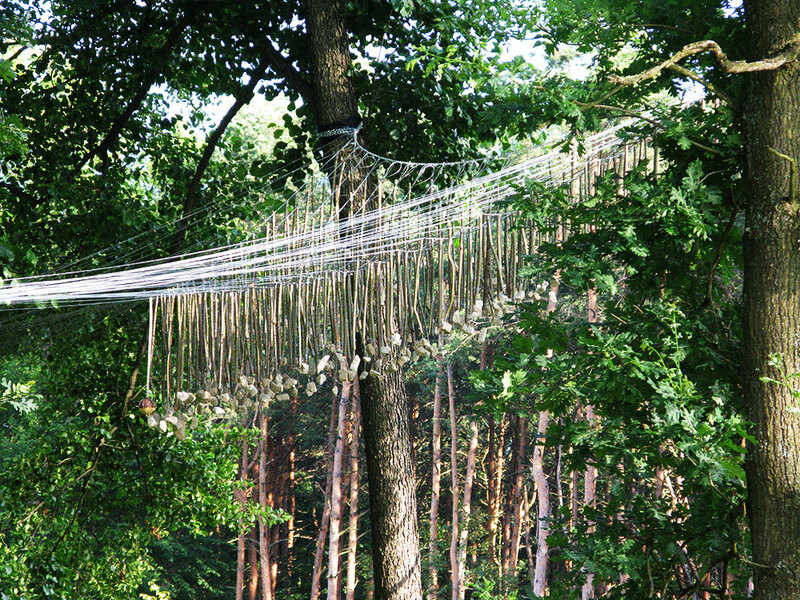 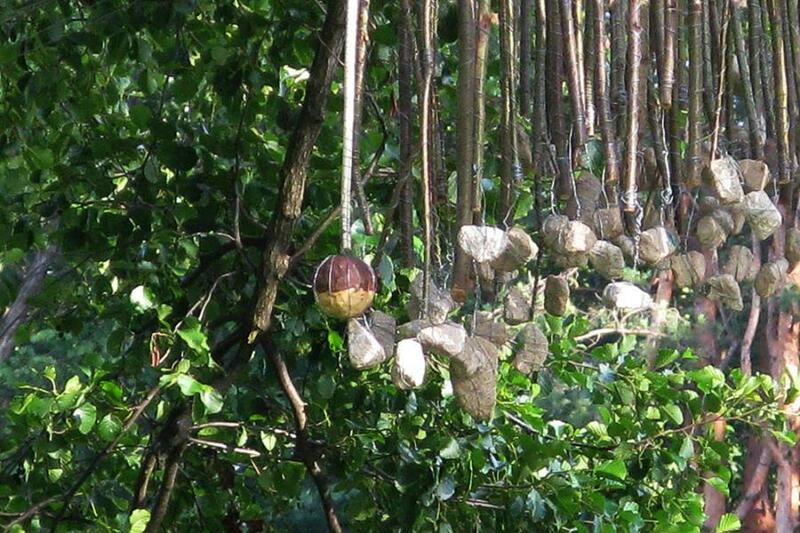 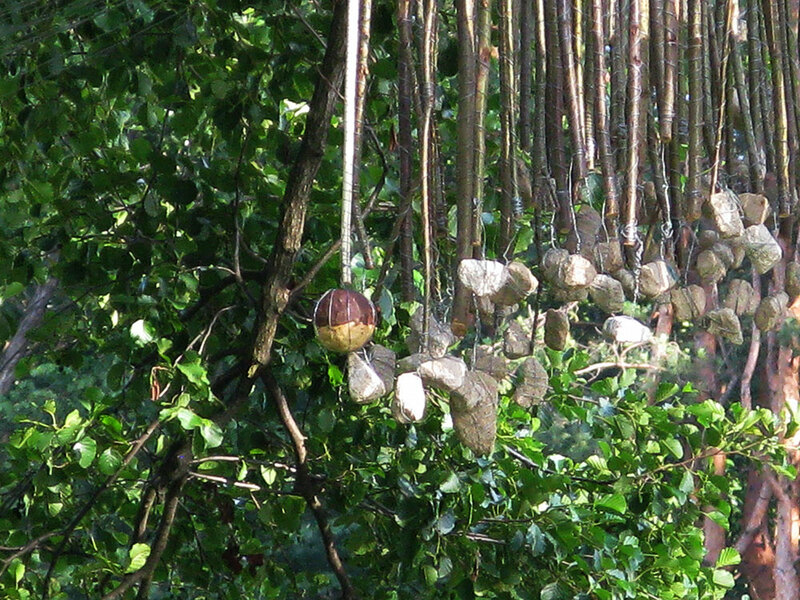 The cable weave was anchored to multiple existing trees to blend in with the surrounding environment and was adorned with hanging elements created from indigenous branches and stones. 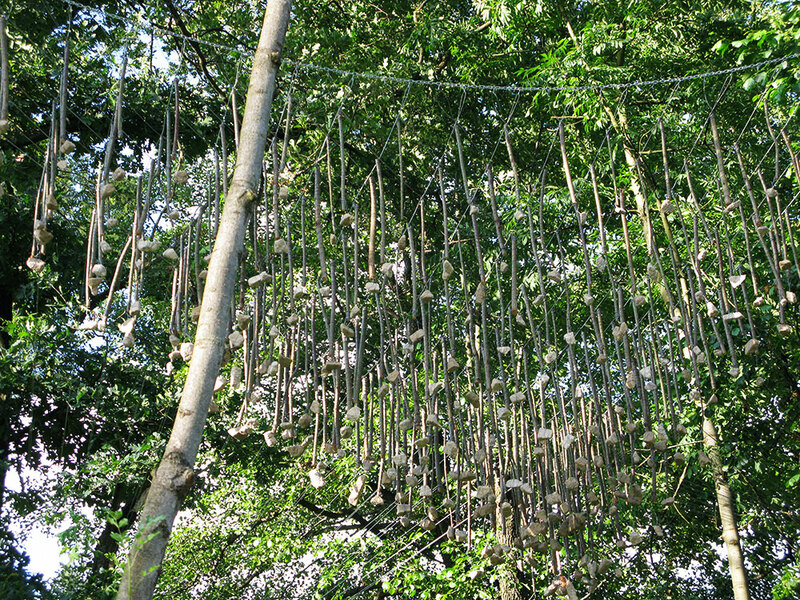 Students and community members helped create the hanging elements and helped install the final piece.